Let’s be honest–we can’t promise perfect, and we can’t promise stress free. What we CAN promise is a planning team that is dedicated to bringing your ideas to life. We have years of hands-on experience, so whether you’re in need of full service planning, or wedding day management, you can feel confident that our team has the skills and knowledge to make sure your event flows smoothly, and, at the end of the day, you’re married to your best friend. We believe in love. Pure, simple, beautiful, chaotic, authentic, unbelievable love. We enjoy working with couples who think a planner is out of their budget. Couples that want a professional by their side. Couples that DIY everything, or are maybe dreaming of the unconventional. Bust mostly, couples that are undeniably in love. Regardless of your budget, we want to help you protect your financial and emotional investments. 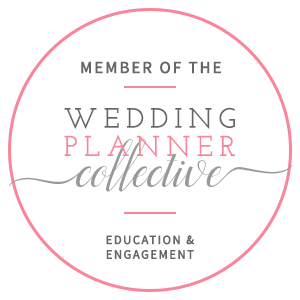 We believe that hiring a wedding coordinator is a gift you can give yourself on your wedding day. We are dedicated to relieving the stress that planning an event can cause, and especially on the big day, we strive to create as stress free of a day as possible for the couple, their families, and their guests. Let us handle the details, so you and your loved ones can live in the moment!